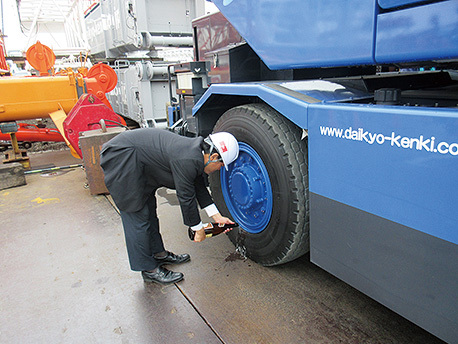 Business Abroad | Daikyo Kenki Co., Ltd. 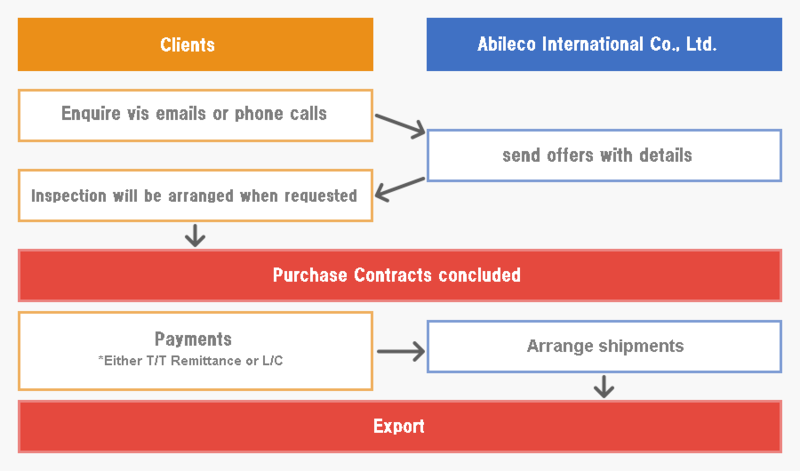 In order to keep up with demands of advanced cranes, we have been replacing our used cranes with brand new models and exporting them overseas or selling them in domestic markets through our affiliated company, Abileco International Co., Ltd. We also deal the same with cranes, which were used by another companies as well. 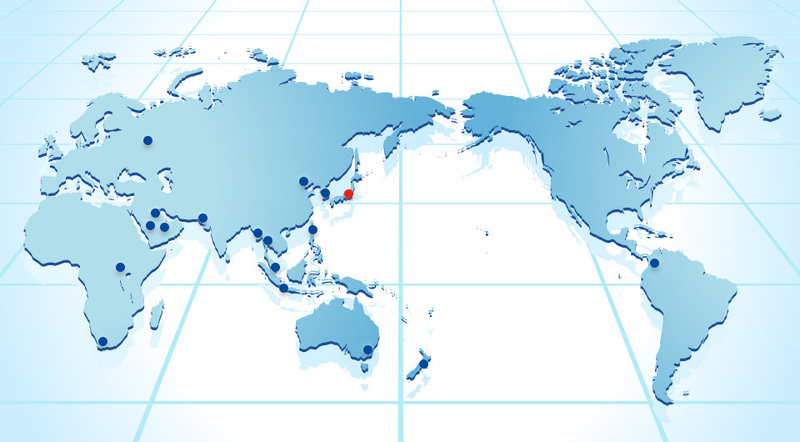 With over 50 years of trading experience throughout Asia, Latin America and Africa, we are confident to help handle all complicated trading for you. 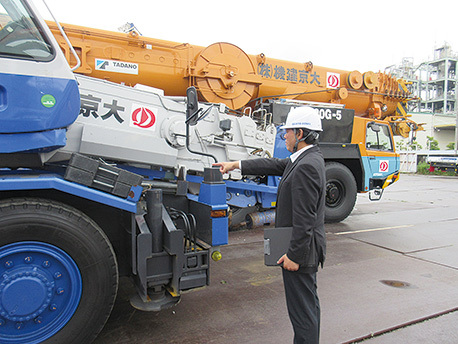 We make sure that every sold cranes are not further damaged or not having any serious defect or loss after our clients’ inspections. 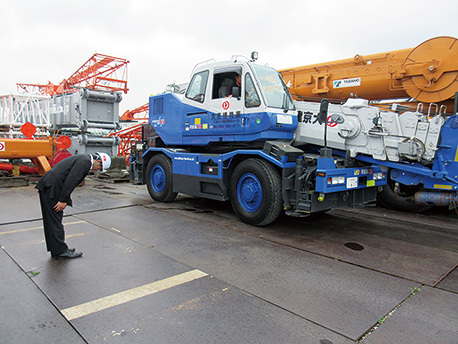 Thorough the full inspections done by using our checklists, we are not just supplying our cranes to our clients, but are also providing assurance and trustworthiness to them. We treat every sold cranes with cares and loves. We pray for next users’ safety in new environments with Sacred Sake. After the ceremony, clients are driving off.